More and more people are discovering the satisfaction in beauty and the benefits to the environment of landscaping their homes, schools, businesses and places of worship with native plants. Native plants are those that evolved naturally in North America. More specifically, native plants in a particular area are those that were growing naturally in the area before humans introduced plants from distant places. In eastern and central North America, native plants typically grew in communities with species adapted to similar soil, moisture, and weather conditions. Some of the widespread communities included oak-hickory-chestnut and beech-maple forests, tallgrass and shortgrass prairies, and freshwater marshes. Additional communities occupied specialized niches, including savannahs, fens, bogs, flood plains and alpine areas. Each native plant species is a member of a community that includes other plants, animals and microorganisms. The natural balance keeps each species in check, allowing it to thrive in conditions where it is suited, but preventing it from running amok. Thus, native species rarely become invasive, as plants introduced from other areas can be. 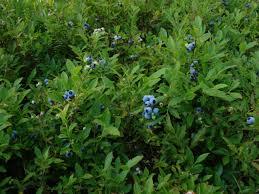 Native plants provide food and shelter for birds, butterflies and other desirable wildlife. Many help to enrich the soil. Their root systems help rainfall percolate into the soil, reducing erosion and runoff. This improves water quality. The diversity of native plants includes interesting flowers and foliage. Native shrubs and trees provide a variety of heights, shapes and textures in the landscape. Many provide winter interest through their bark or seed pods. Another dimension of native plants is their historical and cultural interest. Some plants played a significant role in Native American culture, or in the European exploration and settlement. Many species have reported value as food or medicine. Others have been used for cordage, textiles, dyestuffs, or similar domestic purposes. Native plants can provide children and adults with a tangible link to the past. If you own property in or near a resource area, your town may require that you plant only native species within a specified distance from the resource area. Check with your town or click on the links below for the list of native species from some of the local towns. 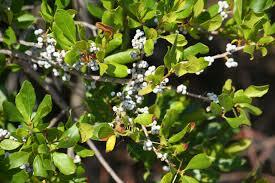 A deciduous shrub that grows to 12 feet with waxy berries that are a good food for migrating birds in winter & spring. Leaves often last through winter. Grows well in sunny, dry conditions. Good for coastal areas. 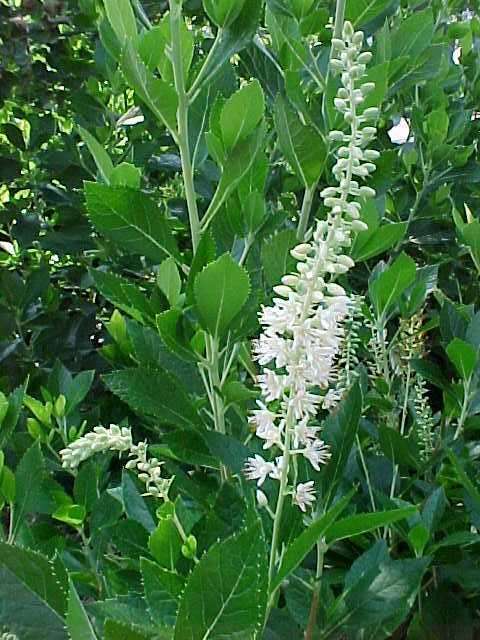 Deciduous shrub 6-10 ten feet with greenish white flowers in June. 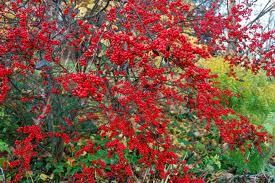 Female produces brilliant red berries that last through winter and are an excellent food for wildlife. Likes partial shade with moist conditions. Deciduous shrub growing to 10 feet with white flowers on spikes in July. Leaves turn yellow in fall. Prefers sunny, moist conditions. Attracts butterflies. Deciduous shrub only growing to 2 feet. 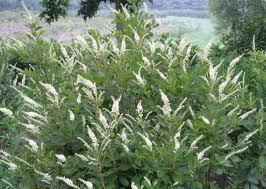 Produces small white-pink flowers in spring and sweet, edible berries in summer. Leaves turn bright red in fall. Fruit is an excellent summer food for wildlife. Prefers dryer soils. 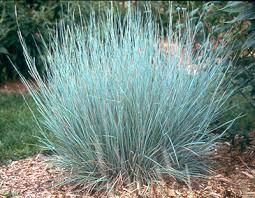 Perennial grass, 2-3 feet, that mixes well with native wildflowers. Leaves turn reddish-tan in fall and are topped by fuzzy, silvery-white seeds. Seed provides food for birds. Excellent for dry, sandy soils. 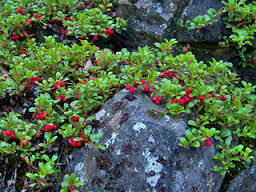 Evergreen groundcover the grows to 7 inches with piinkish-white flowers in May and red berries in fall. Plant in a sunny, dry location.